Federation Square is a mixed use development covering an area of 3.2 hectares and centred around two major public spaces; open squares (St. Paul's Court and The Square) and one covered (The Atrium), built on top of a concrete deck above busy railway lines. It was one of the most complex and ambitious construction projects ever undertaken in Australia that created a civic and cultural precinct. 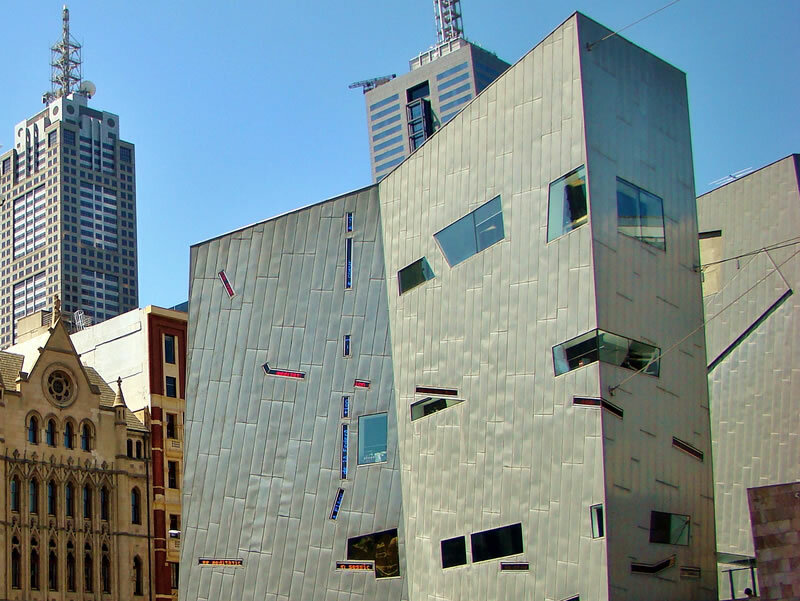 It is now a Melbourne icon with an average of more than nine million visitors every year. 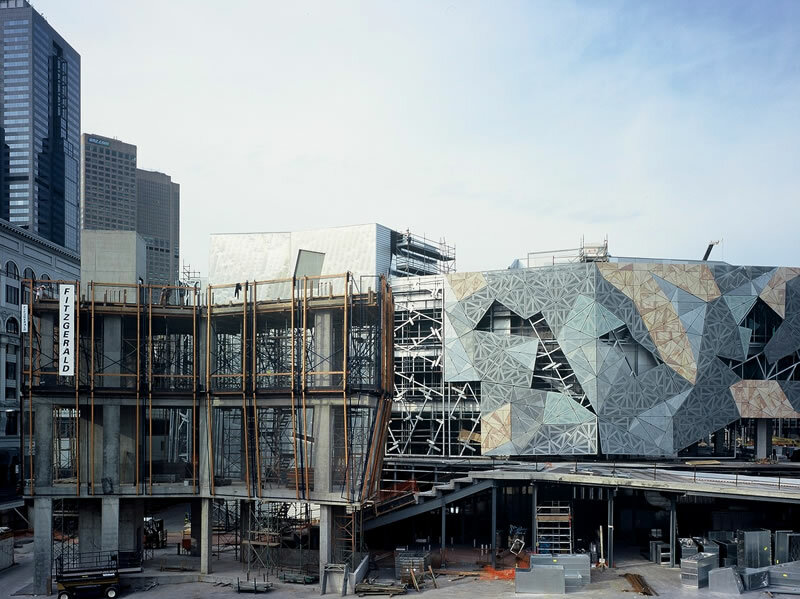 In 1996, an architectural design competition was announced by Premier Jeff Kennett that received entries from around the world. The design brief was to better connect Flinders Street to the Yarra River and to enhance and complement the neighbouring heritage buildings including St Paul's Cathedral and Flinders Street Station. 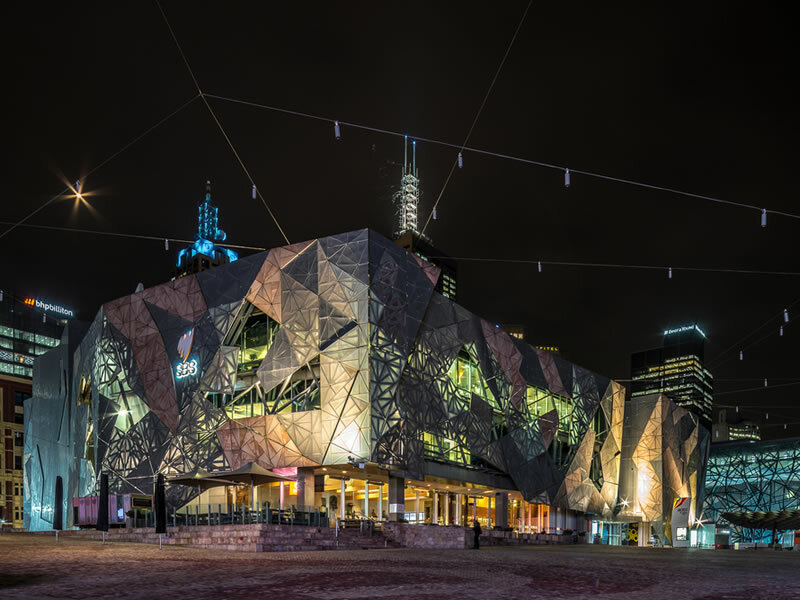 A consortium of Lab Architecture studio directed by Donald Bates and Peter Davidson from London and local architects Bates Smart was awarded the project, Federation Square. Contracts undertaken by us for Major Projects Victoria were the construction of the Crash Barrier and associated concrete structures on Exhibition Street Overpass, Multi Storey carpark, Gateway Entrance towers (shards) and the South Commercial Building Works, now occupied by SBS. Our works included specialised formwork construction, reinforcement and structural concrete construction. A highlight of the project are the five storey shards, of which there are three. Two are free-standing on the north-western edge of the precinct where they provide a framed view of St Paul's Cathedral from the St Paul's Court part of the new plaza, accentuating its size in a similar perspective inspired by the piazza of St Peter’s Basilica. They are completely clad in metallic surfaces with angular slots and glass louvers. The buildings interiors and exteriors can be described as being of a deconstructivist style, with modern minimalist shapes interspersed with geometry and angular slots. A similar theme flows through the precinct of complex geometrical design features, using a mixture of zinc, glass and sandstone tiles over a metal exoskeletal frame, in a complex geometrical pattern composed entirely of scalene triangles.